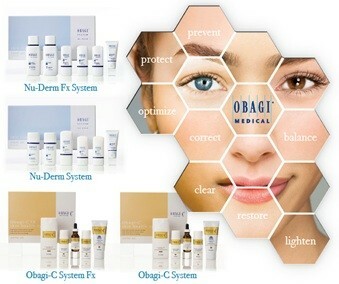 The Obagi Nu-Derm System uses a unique combination of active and prescription ingredients – including Tretinoin and Hydroquinone 4% – to maximize penetration to all skin layers. The specific dosage and frequency are determined and monitored by Dr Comins, according toyour skin condition, needs and lifestyle. Improves bloodflow to the skin. At Hans Place Practice we only provide clinically proven, effective skincare which compliments the facial rejuvenation treatments performed by Dr Comins. Obagi skin care should only be prescribed by a medical professional and therefore a consultation with Dr Comins is recommended.